Thanks for the update. Hilarious photo. Prayed Isaiah 12 over your family this afternoon. What a gift music is that He has given us. Your message and photo are a Christmas blessing. May it be a merry one! So nice to get an update AND to see your family in a silly picture. It’s good to let loose once in a while! I was so glad to spend a little bit of time with Tiffany when she was here in California. You have prayer partners here in our community and they will be glad to hear my update on Claire. May the Lord bring you a sense of peace and joy not just at Christmas but all year long! Merry Christmas, Tyler, Tiffany, Autumn, Heidi and Claire! It’s good to hear from you! We wish you a merry merry Christmas and a extra happy New year! This post was such a blessing to read. Tiffany, I only had the pleasure of meeting you for one brief morning, at a park play date, bc of a mutual friend. However, your precious family has remained on my heart & mind. It’s a gift to see how The Lord has sustained you all. To see the unbelievable joy expressed in Claire’s smile! To read that your painful suffering is now an avenue to comfort other hurting families. I’m grateful to you and your husband for being open and honest in this journey. And LOVE your Christmas picture! So fun. Praying God blesses you all with abundant peace, His comforting nearness, and sustaining joy. Ps 145:14 The Lord upholds all who are falling and raises up all who are bowed down. Ps 121:1-2 I lift up my eyes to the hills. From where does my help come? My help comes from The Lord, who made heaven and earth. Thank you for the update! I always look forward to hearing from all of you! 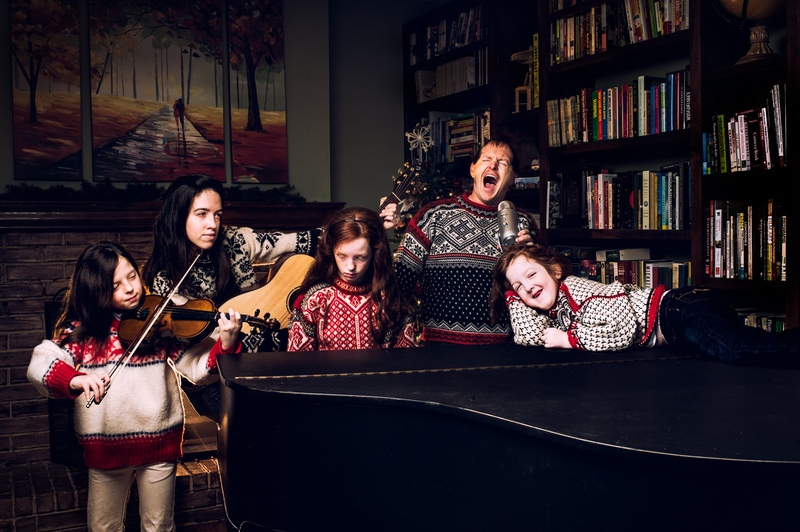 I love the Christmas picture-such a beautiful family-and what a fun picture! You are always in my heart and prayers. Thanks again for the update!